The Little Red Dot is turning a healthy shade of green, at least when seen from abroad. Government policies that push for green buildings, and the anti-haze law to punish those responsible for fires that cause unhealthy levels of haze here have won praise from experts overseas. Despite progress at these levels, however, there is still a general climate of environmental inaction here. People in Singapore are becoming worse recyclers, continue to litter and are generally environmentally apathetic. People are actually more aware environmentally, but they aren't matching their actions to their knowledge, said Mr Eugene Tay, founder and director of consultancy Green Future Solutions. What's needed to get people to act? 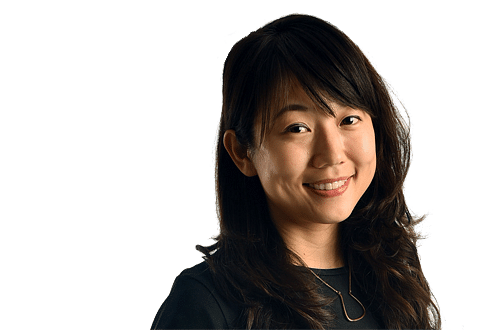 Mr Tay and environmental group World Wide Fund for Nature (WWF) Singapore suggest more education efforts that tie people's daily actions to the impact on the environment. Mr Tay added: "The energy we use, the cars we drive, the products we buy, the companies we support - all our activities have an impact on our environment and this needs to be better communicated." Activists say the key now is to move people to vote with their wallets and exercise their consumer power. For example, encourage people to buy products that don't contribute to the haze caused by burning forest land. WWF Singapore, working with volunteer group People's Movement to Stop Haze and the non-government Singapore Institute of International Affairs, has started an #XtheHaze campaign to get people and companies to buy products that use only "sustainable, haze-free palm oil". A spokesman for WWF Singapore said: "WWF is creating awareness and making the link between the everyday products we buy which contain palm oil and the burning in its production, which causes haze pollution." The aim is to "shift the market towards sustainable palm oil" by first, creating demand for sustainable palm oil in the form of consumer pledges and second, using this demand to motivate retailers and manufacturers to switch to a sustainable supply of palm oil, she adds. In fact, some products do have eco-labels, but how do we get people to pick those to buy? The Singapore Environment Council has a green labelling scheme that has certified 3,000 products so far. It suggests that large retail outlets such as FairPrice, Cold Storage and Giant take the lead by having "green corners" in all their outlets. Recycling bins are everywhere now in Singapore, but domestic recycling rate is down. Since September last year, every Housing Board (HDB) block has a blue recycling bin for waste paper, plastics and other recyclables instead of one bin being shared by five blocks. HDB is also installing recycling chutes in all new HDB blocks with throw points on each floor. But the domestic recycling rate fell to 19 per cent last year from 22 per cent in 2010 as the volume of food waste went up. For example, in Sweden, recycling is a way of life. Sweden is so conscientious about sorting and recycling its waste that it lacks garbage for fuelling its incineration centres, which produce enough electricity for 250,000 homes and heat for 950,000 homes. It imports waste from its neighbours Norway, Britain, the Netherlands, Finland, Denmark and Ireland to feed its incinerators. To get people into the recycling habit requires more than general education or awareness campaigns, says Mr Tay. People need help to change their habits, in the same way those who want to quit smoking or lose weight need it. "We need a structured programme over at least 90 days - time required to form a habit - with easy steps and tips to get someone to adopt a green habit, whether it is to recycle or save energy." Despite growing environmental awareness, littering remains a big problem in Singapore. Between 2006 and 2010, surveys by the Ministry of the Environment and Water Resources showed falling cleanliness standards, and that the amount of litter observed or collected almost doubled. Many people have advocated ways to discourage littering, from shaming litterbugs more frequently to getting them to become anti-littering ambassadors to get others not to litter. Actor Tommy Campbell, in an op-ed for the Huffington Post, in which he praised Singapore as being spotless, suggested litter-shaming, or calling out people for littering as they are doing it. As Mr Campbell put it: "The way to do this best is when you see someone litter, in a very helpful manner, you point and shout, 'Dropped something!'" He also dished out some advice: "The solution to clean streets is free and easy - don't throw it on the ground in the first place and never tolerate those who do. Your city, its people and the planet will benefit."